Salford Businesses are missing out on Search Marketing opportunities like never before; this is why we have gone for the search term SEO Salford. To make sure as many businesses as possible are ranking or becoming the answer on search engines for what they should do, whether the keywords are national or local. Here at Embryo Digital we can handle it, and ensure great results. About SEO And Do You Need It? Search Engine Optimisation isn’t just about being number one anymore. People are now getting to grips with becoming number one. But times have changed, it is all about being the answer on Google. Mobile Search has taken over massively now. People use the mobile device just like what you are probably reading this on right now – that is where you want your businesses website to be found when potential customers in Salford search for you. 60% of searches today are mobile searches, and 27% of them are voice searches. These numbers will only increase as technology advances. This means that you need a Digital Marketing agency who know all about this; otherwise, you are going to get left behind. You need to get a few backlinks to boost websites up but not all the time. Search Engine Optimisation is changing three times a day, 1000 times a year. Embryo Digital is going to show Salford and Manchester how it is done properly. Over at Embryo Digital, we don’t just look at who is number one on Google, and we look at who is getting the most leads from the “Internet High Street,” how many people are coming into their shop to look around and how many people convert. If they are not coming in then, we look at why and then solve that answer. If customers are not converting via the website, we rectify these reasons to increase conversions. This ensures your Salford Business has marketing that is up to scratch in the world of digital and you are not left behind. 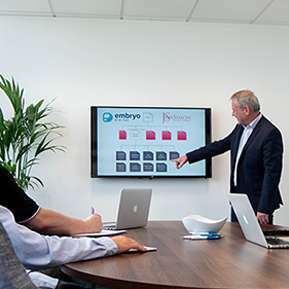 Why Choose Embryo Digital for your Search Marketing? Embryo Digital is up to date with the latest factors of SEO. Our staff also do this sort of work in their spare time for fun. 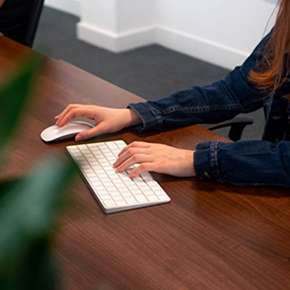 This is letting them test out different things on different keywords and ensuring that they are up to date with everything within the SEO industry. Mobile and Voice search is now the next big thing. 60% of searches are performed by mobile, and already 25% are performed by voice.